In my previous post I introduced Metro Morph, a ground-breaking new modular terrain-building system designed for 28–32 mm tabletop miniature games. Metro Morph is the wargaming terrain you’ve always wanted: it looks impressive, it’s affordable, and it allows you to create unique, configurable structures without sucking up hours of time that you could spend actually playing a game. Miniature wargaming is experiencing a golden age. 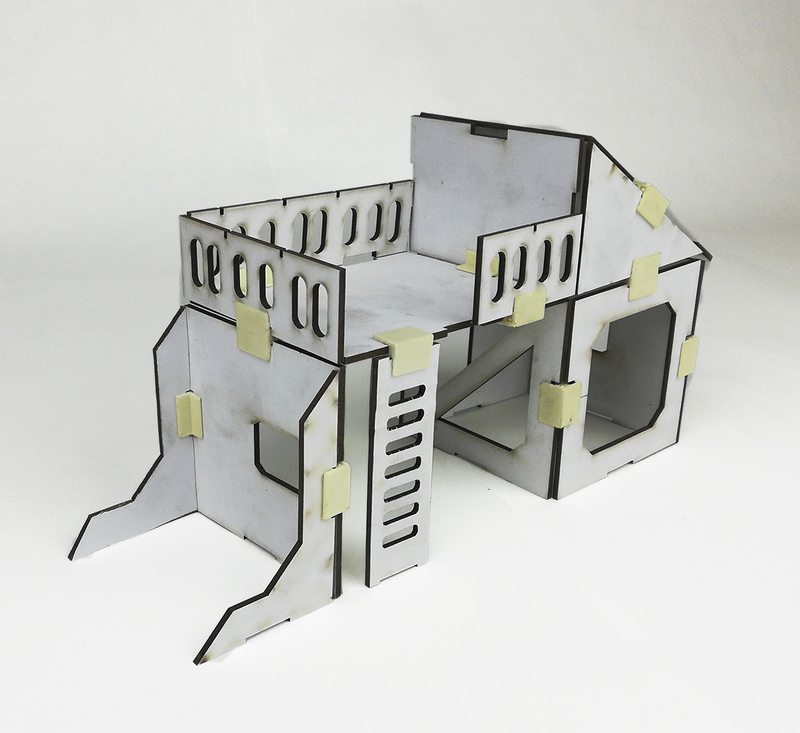 Do a quick search of terrain for wargaming and you’ll find terrains made from materials such as resin, MDF, plastic, and plaster. 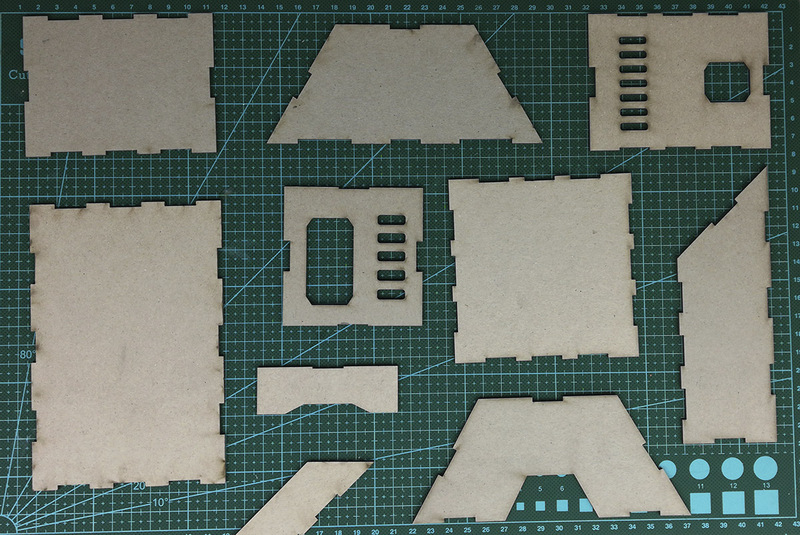 So I’ve often been asked: Why, out of all these possible materials, is Metro Morph made from cardboard? 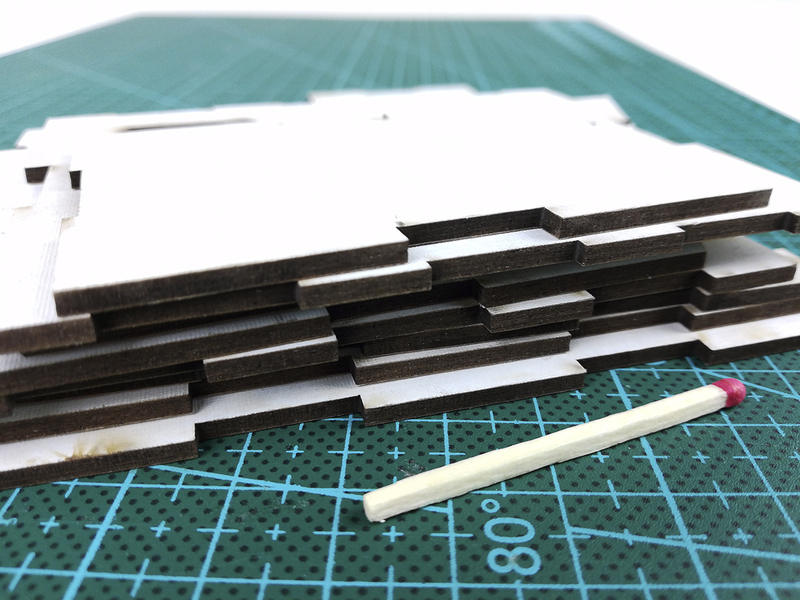 In my next post I’ll describe how Crowd Forge Studio combined various types of cardstock to produce terrain panels that are as strong as they are good-looking. But in this post I’ll just explain the ‘why’, and leave the ‘how’ for later. From very early on in Metro Morph’s development, robust 2 mm cardstock (the kind of cardboard used for board game boards) became a clear frontrunner as the material of choice. When lined up against all contenders, cardstock had four distinct advantages. Firstly, cardboard is cheap compared to other potential options. As a base material it lets you make a product that is affordable for the average gamer. Win! Secondly, I wanted Metro Morph to be as user-friendly as possible. 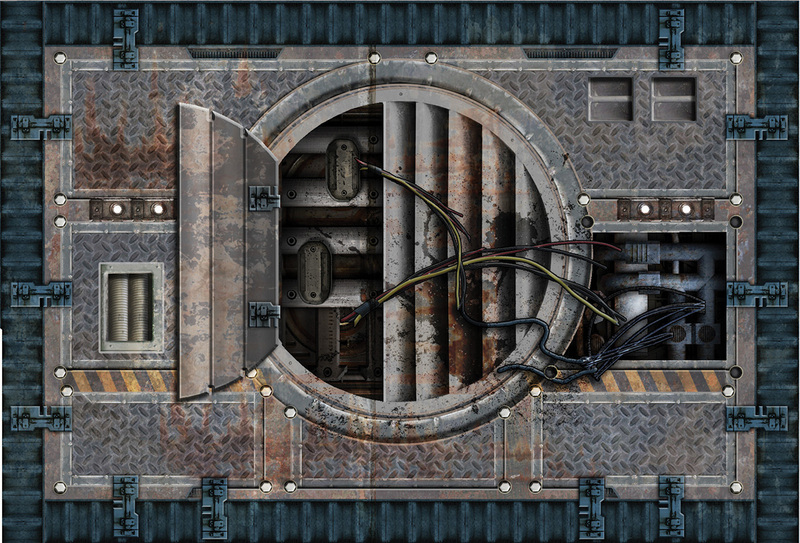 I was aiming to create plug-and-play terrain that you could take from the box and immediately set up on a gaming table. That meant it couldn’t require any preparation, modelling, or gluing. While other materials were able to produce similar 3D results, no other material could rival cardboard’s ability to arrive with pre-printed, full-colour art. Win! Thirdly, I wanted Metro Morph to be modular, and this robust cardstock allows the panels to be connected with clips in a way that would have been far more unwieldy with other materials. The panels can be connected and supported in a multitude of ways while maintaining a unified appearance thanks to the full-colour graphics. This not only looks cool, but allows gamers to make the kind of structures they want and need as required. Win! 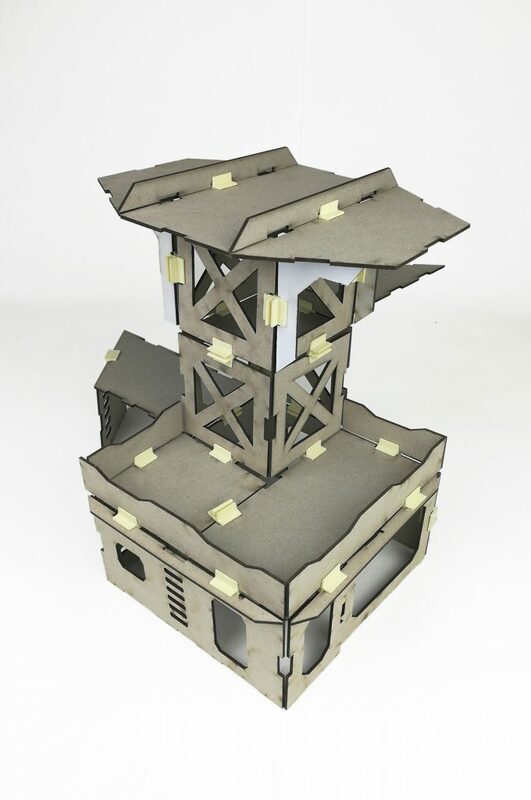 Fourthly, cardboard is noticeably flat, and one of the goals of the design brief was to create a system that could be both delivered and packed away flat. Storage can be a real issue for me and a lot of other gamers I know, so I wanted to produce a solution that could be packed away in as little space as possible. Cardboard is able to deliver here in spades. Win! So you can see why we chose to make Metro Morph from tough cardstock. Like everything else in life though, it’s not all roses — cardboard does have some drawbacks. In my next few posts I’ll explain how Crowd Forge Studio has overcome these disadvantages to produce awesome modular terrain that is both durable and attractive. Posted in Metro Morph and tagged building, card terrain, cardboard, Metro Morph, modular, wargaming terrain.